Chasing a rainbow implies unattainable or delusional objectives. 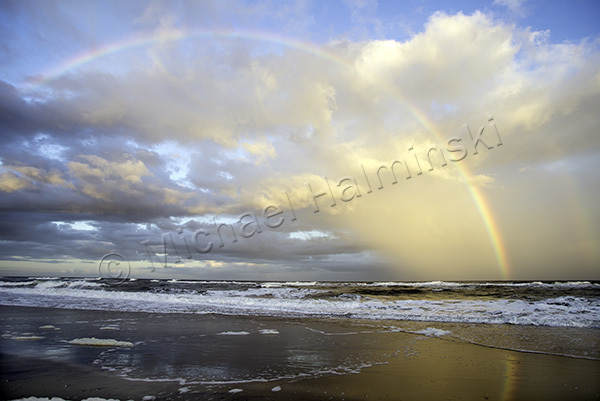 When you see a rainbow, you can’t walk up to it and touch it. Physically it’s always out of reach. They’re elusive. Yet they’re one of the most beautiful natural phenomenon on earth. They can reveal themselves unexpectedly and last only moments. I’ve tried shooting them countless times. By the time I see them and react, they’ve peaked, and faded away. This past Thanksgiving Day was an exception. My 92 year old mother was in town with two of my sisters and other family members. To be with them was a special gift. As Denise and I were driving to Avon to join them for dinner, we noticed some faint colors beginning to appear to the east along the beach. Ramp 25 was the nearest beach access and I walked over to start shooting different vantage points. It just kept filling in, getting deeper and deeper. Through the viewfinder, I saw too much to take in at once. 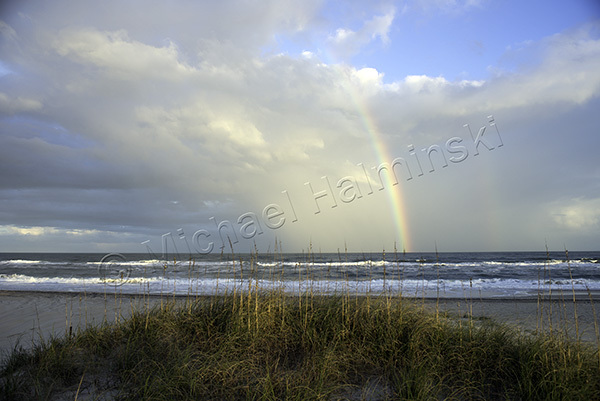 By the time I worked my way down to the surf, the sun was getting lower with colors peaking. Unexpected, it was truly a gift! 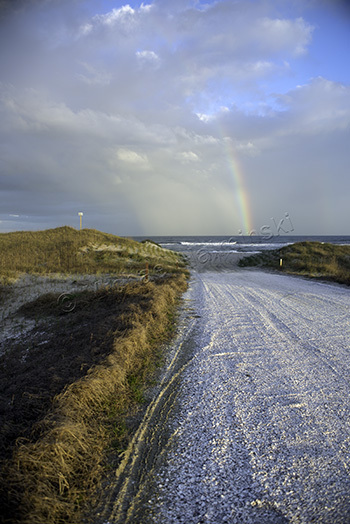 This entry was posted in beach, Outer Banks, Weather on December 7, 2015 by j0jgvm89bj.